The Master of Philosophy (Creative Arts) is a flexible course that provides a bridge towards doctoral level study and the opportunity to immerse yourself in a significant research project. The course is suited to experienced creative arts practitioners who wish to extend their practice within a scholarly context. It is also appropriate for applicants with an excellent undergraduate creative arts background who wish to extend their scholarly and/or creative skills. You may pursue purely scholarly research or a combination of creative and scholarly research. Research strengths in creative practice include Music, Theatre, Performance, Creative Writing, Visual Arts, Digital Media and Design. Applications from all these disciplines are encouraged, as well as any projects working in interdisciplinary forms. The degree comprises 24 credit points of coursework and a 72-credit point thesis. Advanced standing for the coursework component of the degree may be awarded, which will determine the appropriate entry point. a dissertation (approximately 15,000 words) that makes a scholarly argument linked to, but not dependent on, the body of creative work. Details on the additional supporting information that must be included with your application can be found on the HDR Application Information page. 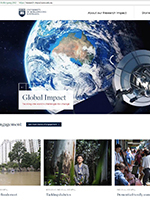 For information regarding the University's research activity, research strengths, scholarships and services, visit UOW's Research and Innovation website. For specific information relating to research being undertaken within the Faculty of Law, Humanities and the Arts, visit the Faculty's research pages. Honours degree with 2nd class Division 2 or higher, coursework Masters with WAM 60+ or GPA of 2.8 out of 4. Higher Degree Research applicants must provide supporting material with their application. Please refer to the Future Students: Postgraduate website for detailed information. Higher Degree Research (HDR) applications can be submitted online at any time. However, applicants applying for an HDR course that includes coursework are not permitted to enrol after the commencement of second week of session. 4 Apply advanced knowledge of research, research integrity, ethics and the rights and safety of others, to plan and execute a substantial piece of research with a high level of autonomy, accountability, adaptability and responsibility for personal outputs. As a creative arts student, you will have opportunities to work and study with artists and media practitioners in a vibrant research culture, with significant opportunity for interdisciplinary and cross-artform collaboration. Our modern studios, performance spaces and galleries provide an inspiring work environment, showcasing the work of students as well as hosting Australian and international exhibitions and performances. The Faculty of Law, Humanities and the Arts is internationally recognised for its excellence in humanities, social sciences, creative arts and law.